Thanks to all our customers for a great 2016. We have changed things up a bit and are currently only using one unit, our big truck. As a result, we won’t have a regular spot for the time being but we will be out and about. Stay tuned for our next location. We are catering this weekend! Back next week to our events schedule! 2017 wedding catering booking NOW!!! 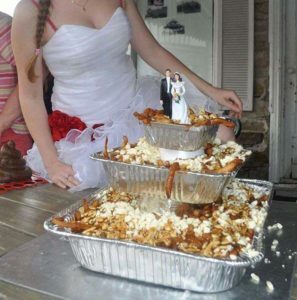 Email us at events@bigredspoutine.com to get a quote for your wedding! 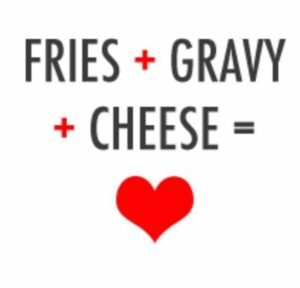 We will bring our food truck to your wedding and your guests will love it! Book your date soon as we are filling up quickly. We will be open on Saturday, September 3rd at the Richmond World Festival from 11am-10pm!! Due to our heavy schedule at the Abbotsford Airshow all weekend and the high temperatures expected we will not be open this week at our 228th spot. Due to our very busy summer season we have decided not to open this week again at our 228th spot. We apologize for this inconvenience. We are closed this week at our Maple Ridge spot from Thurs-Sunday due to our extremely heavy festival and catering schedule for this week.